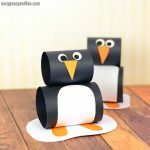 If you’ve got a Styrofoam ball rolling around and want to make something out of it this round penguin craft can be just the thing! 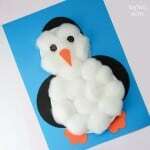 We did a lovely cotton balls penguin craft a while ago and now it’s time for another craft with this lovely bird. 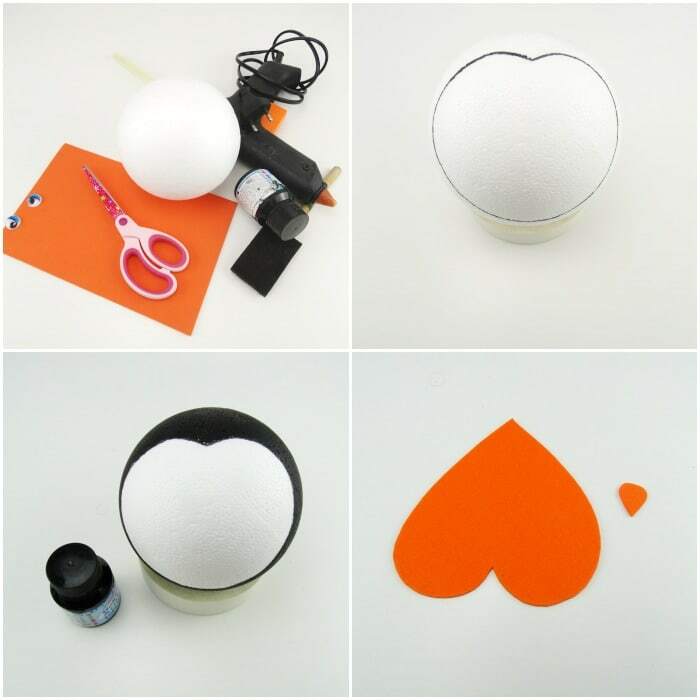 As I attempted a lovely DIY lollipop bouquet as a gift for my friends last year, and realized it takes way more work than it leads to believe (I managed to make one, it was a pretty one though) I got stuck with quite a large amount of Styrofoam balls, which need to be put into good use sooner or later. 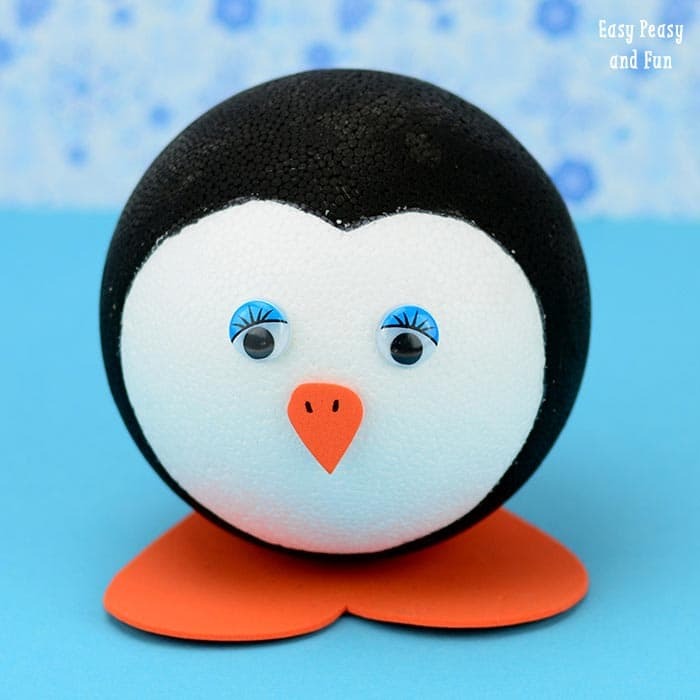 So if you’re like me and have a ball like this laying around (or other white ball of any kind) join me in making a cute little (well quite big actually) penguin craft. Start by drawing a outline to separate the white and black parts. 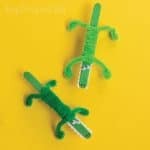 I made a heart shape. Now color the black part and let it dry (I used duct tape as stand for easier drying). 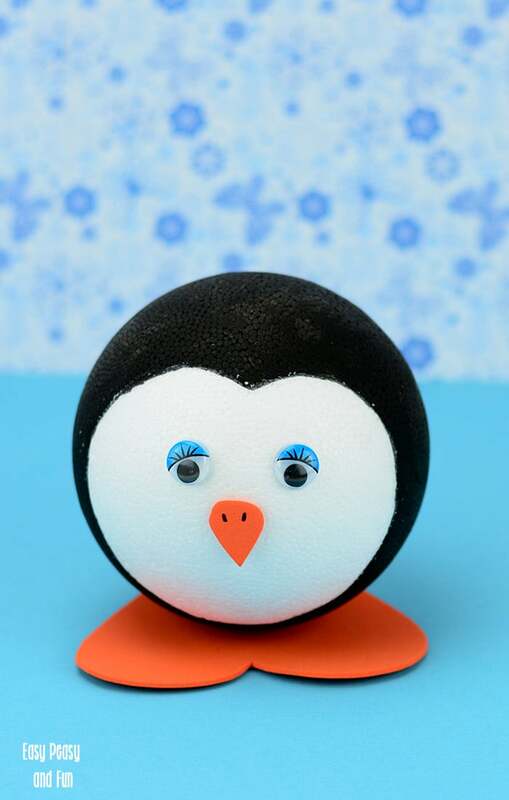 While you wait cut the feet (big heart shape) and beak from orange rubber. 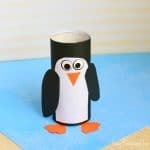 When the color dries stick on the feet and beak, preferably using a glue gun. 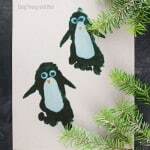 Stick on a pair of googly eyes too. All done.